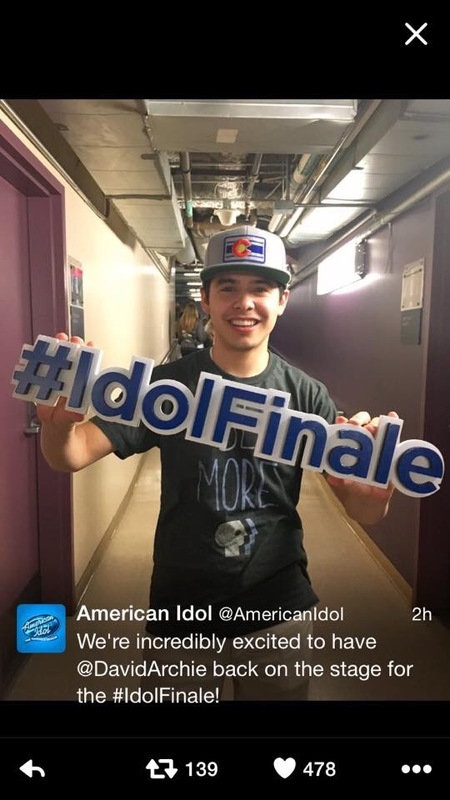 Well, look who tweeted a confirmation that he will be participating in the Grand Finale tomorrow evening. The one and only Season 7 Runner – Up, David Archuleta! So happy to see that he will be involved in the festivities on Thursday evening. 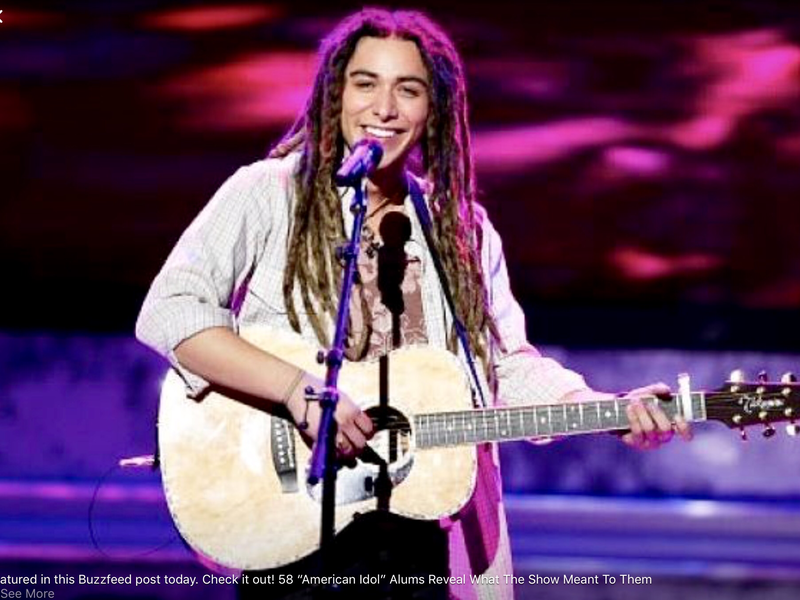 And here are some other fav picks which I garnered from various American Idol artists on Facebook, as well as American Idol’s Facebook page. 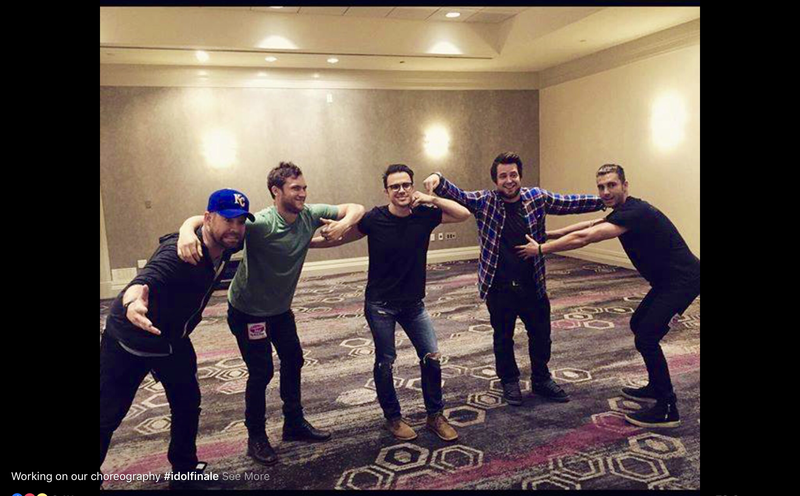 Former American Idol Winners (from left to right): David Cook, Philipp Philipps, Kris Allen, Lee DeWyze and Nick Fradiana work on their choreography. Haha. The best! They look SO graceful. This picture made me chuckle. 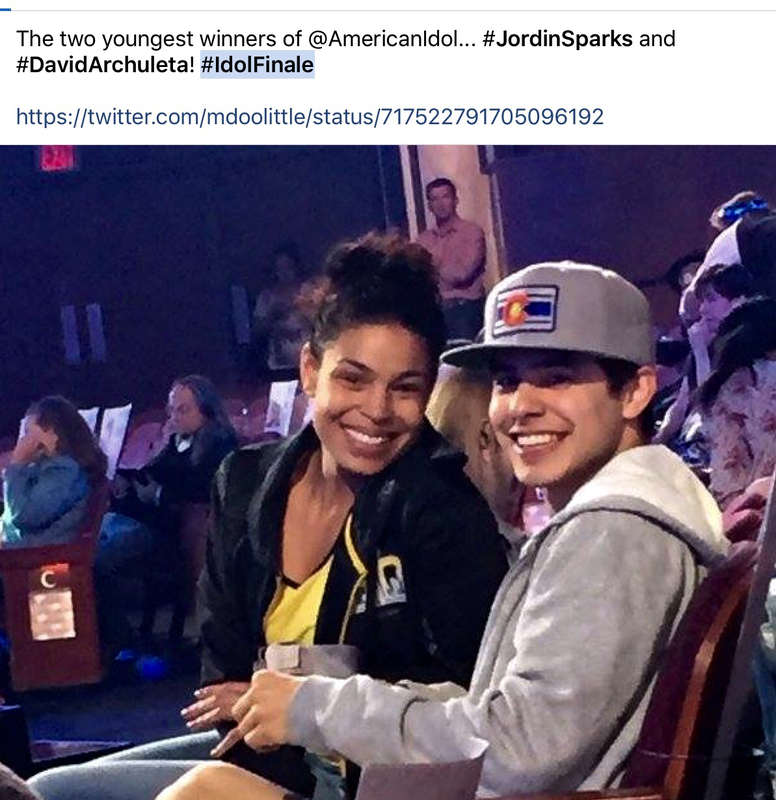 It originated from a tweet by American Idol Finalist, the talented Melinda Doolittle Technically they are two of the youngest finalists on American Idol but, of the two, only Jordin Sparks won the title. David was a very worthy Season 7 Runner-Up and, in the eyes of his legion of fans, is a winner in every sense of the word. 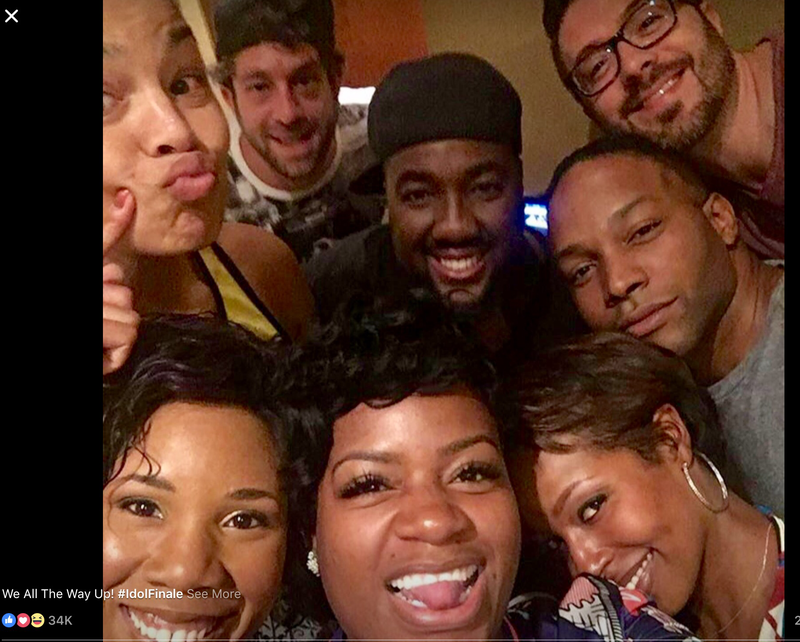 This is a great, GREAT group photo which features Fantasia, Melinda Doolittle, LaToya London, Elliot Yamin, George Huff, Jordin Sparks? (I Think?) and two other dudes that I can’t recognize. Help me! This is quite the group. Phenomenal talent. Recognize my favorite guy with the grey hair? That would be Season 5 winner, Taylor Hicks. I also see former finalists such as Clark Beckham, Melinda Doolittle, Elliott Yamin, George Huff, Latoya London and, of course, Season 6 winner, Jordin Sparks. I will add more pictures tomorrow but please feel free to add your favorite pictures in the comments section. Or suggest a link and I will add them in the main article. mcl, on the ‘american dream’ show, they had a bit of your guy taylor, and i thought, just for a flash, ‘whoa, what is george clooney doing there?’. haha. 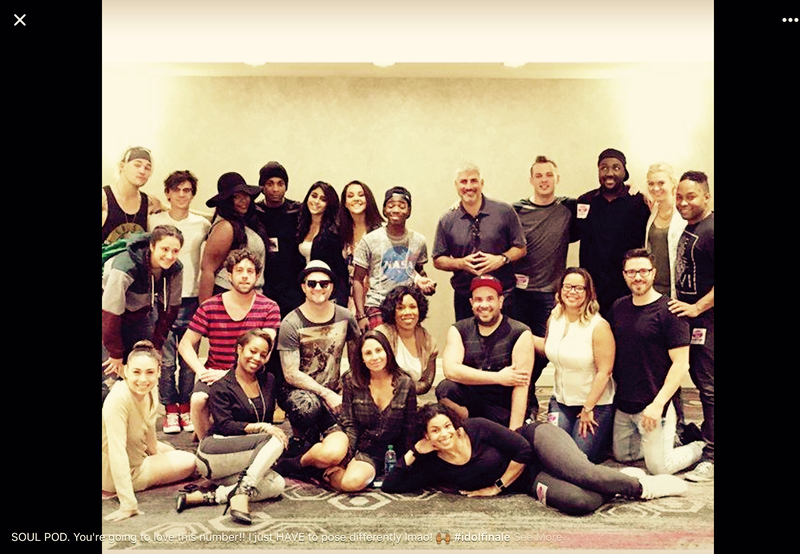 FYI MCL, the other dudes in the group shot with Jordin, Melinda, etc. are Brandon Rogers S6, and Danny Gokey S9. Loving all the Instagram and Facebook photos. Please keep them coming. Trent? Country? The few times I’ve tuned in he seemed to be more of a soul/R&B/pop singer. Well, Borchetta was planning to make Dalton active rock, and Dalton told Billboard he hardly ever does rock, he’s alternative pop.